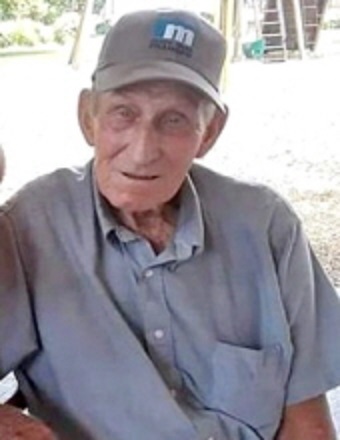 Calvin Crowell, 84, of Lincoln, IL, passed away on April 8, 2019 at his home surrounded by his loving family in Lincoln, IL. Calvin was born on December 17, 1934 in Carterville, IL; the son of Clifton and Neva (Watson) Crowell. He married Mary Webster on December 4, 1954. She preceded him in death on January 18, 2011. Calvin is survived by his four children, Mary (Jack) Deushane of Lewistown, IL, Calvin L. (Kathy) Crowell of St. Joseph, IL, Wayne Crowell of Lincoln, IL, and Jerry (Lotus) Crowell of Lincoln, IL; his ten grandchildren, and seven great-grandchildren. He was preceded in death by his parents, his wife, Mary on January 18, 2011; two sisters, and five brothers. Calvin served in the Army active duty 1957-1958 and inactive duty from 1959 to 1960. Calvin farmed all his life and was an avid gardener. He was always busy doing something, driving tractors and mowing his yard. Most of all he enjoyed playing jokes and telling jokes to his family, especially the grandchildren and his great-grandchildren. Services for Calvin will be held at 12:00 noon on Friday, April 12, 2019 at Fricke-Calvert-Schrader Funeral Home in Lincoln officiated by Larry Crawford. Visitation will take place two hours prior to the service (10:00am-12:00 noon) also at the funeral home. Burial will follow the services at Zion Cemetery in Lincoln. where full military rites will be accorded by The Lincoln American Legion Post #263. Memorial donations may be made in Calvin’s name to St. Jude Children’s Hospital.